Eli Apple has been traded from the New York Giants to the New Orleans Saints, the two NFL franchises have confirmed. 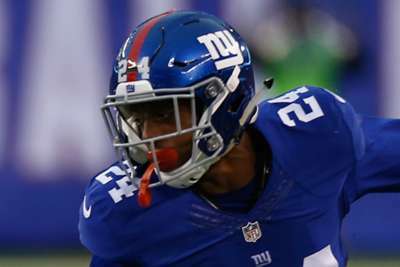 The Giants have received a 2019 fourth-round pick and a 2020 seventh-rounder selection in exchange for the cornerback. Much of the speculation around the Saints' search for cornerback help had focused on the Arizona Cardinals' Patrick Peterson amid rumours he wants out, but New Orleans did not wait around for the Cardinals to move the former LSU star. Instead, Apple gets a change of scenery after a sometimes-rocky stay in New York, where the Giants made him the 10th overall pick in the 2016 draft. The 23-year-old was suspended for the final game of last season by then-coach Ben McAdoo for "conduct detrimental to the team."